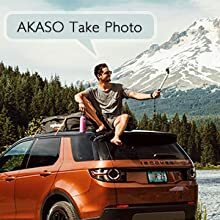 VOICE CONTROL: You can control your AKASO Brave 6 action camera hands free with voice commands Like “AKASO Video Start” and “AKASO Take Photo”. 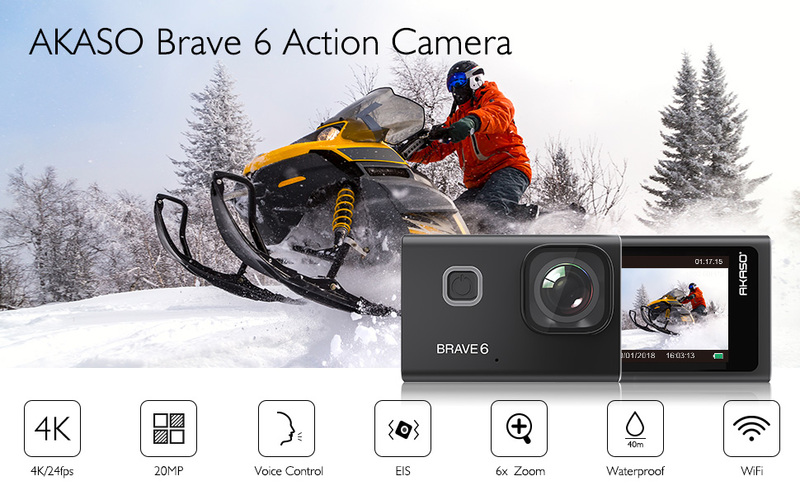 Warm Tip: Samsung 64GB 100MB/s (U3) MicroSDXC Evo Select Memory Card is Highly Recommended for AKASO Brave 6 4K Action Camera (Micro SD card is not included). 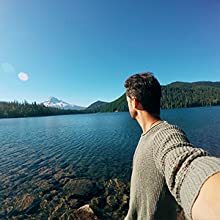 Please format the card in the camera before using this action camera. 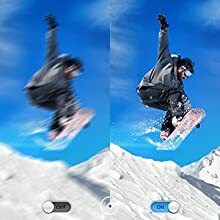 Built-in Electronic Image Stabilization (EIS) with 3-axis gyroscope provides stable video even when the camera shakes, moves or experiences impact. 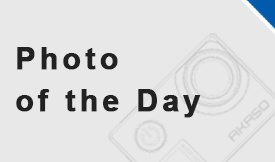 Get stunning 4K video that's as amazing as the moment itself. You can also shoot time lapse videos to turn longer events into short, shareable moments. 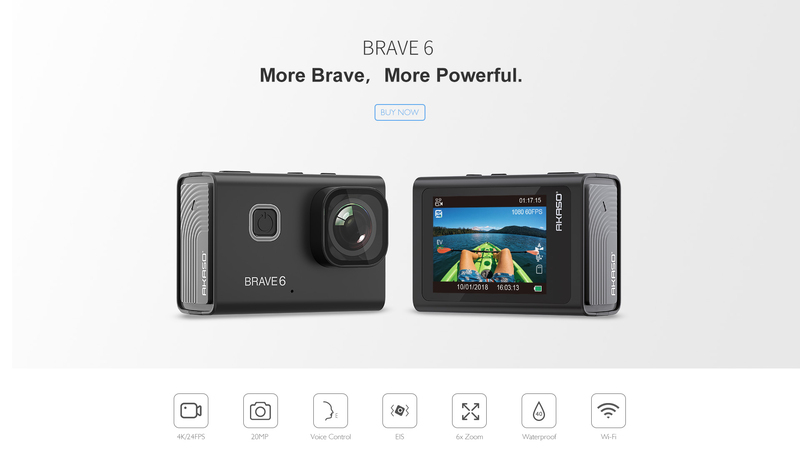 Brave 6 supports 6x Zoom, which lets you adjust how close or far away the subject appears in your video or photo. 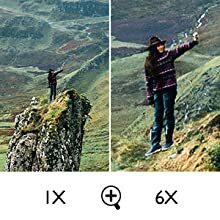 Press and hold the UP button to trigger 6x Zoom. 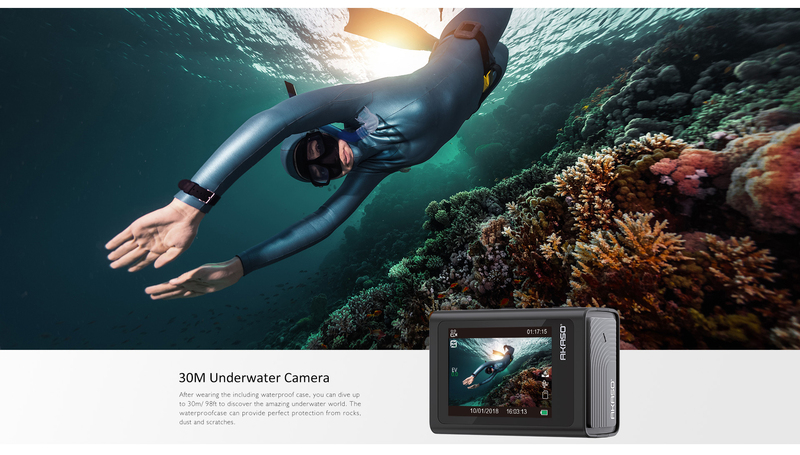 After wearing the including waterproof case, you can dive up to 30m/ 98ft to discover the amazing underwater world. 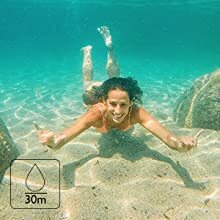 The waterproof case can provide perfect protection from rocks, dust and scratches. 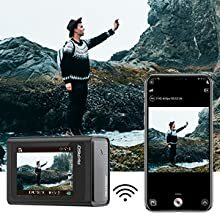 This action camera comes with a wireless remote control, which is easy to control this action camera when hiking, cycling or self-recording. Just download the AKASO DV app on your phone or tablet, you can real time operate or review the images or videos. 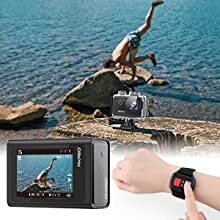 This action camera comes with a charger and 2 rechargeable 1050mAh batteries. 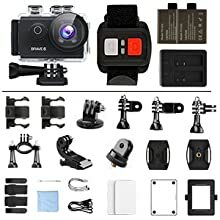 The accessories kit is compatible with most of cameras even Gopro. 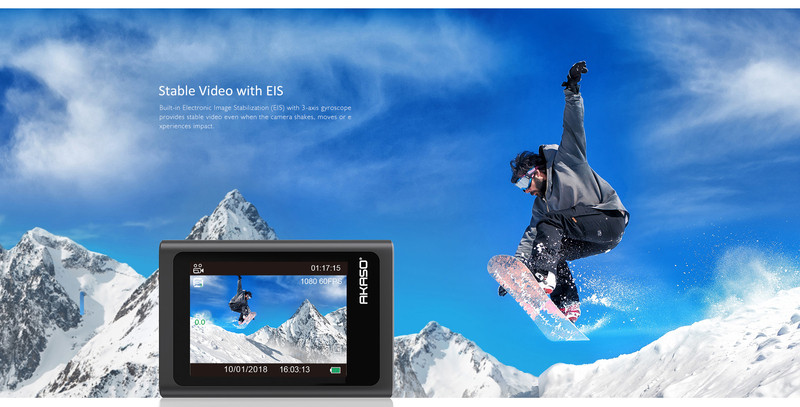 "Video,Photo, Burst phto, Looping Video,Time lapse,diving mode Video Lapse"